Our Best Answer - When is orientation? Incoming students must attend a mandatory Orientation in the summer. Your Orientation Program date is based on your status as a freshmen or transfer student and the major you have chosen. 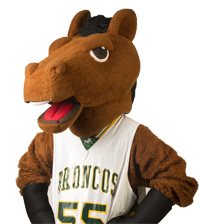 When you go to BroncoDirect to register for Orientation, the registration system will give you your specific available dates. To view Orientation Program dates for freshmen and transfer students, please visit the Orientation Services website. The dates are usually posted in late March for the next summer. Is there orientation for new students? Can the orientation fee be postponed or deferred? Where do I park for orientation?